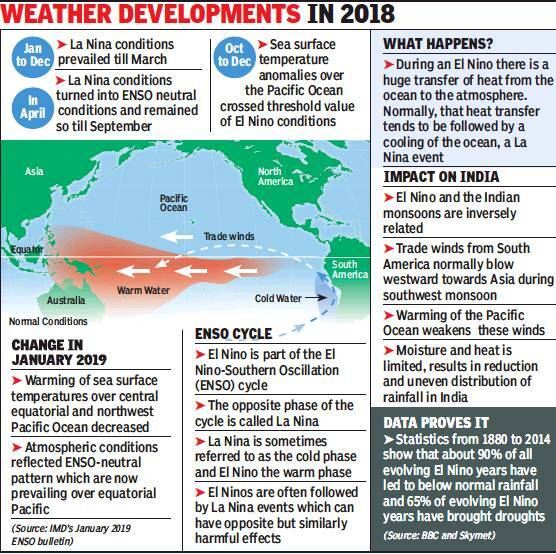 An El Nino event, which has a negative influence on the Indian monsoon, may not form in the next few months, India Meteorological Department officials said. It means good news for this year’s monsoon. Currently, neutral ENSO conditions, neither an El Nino nor a La Nina, are prevailing. IMD officials said a host of factors, other than El Nino, determine the monsoon’s performance. IMD’s ENSO bulletin released last month said neutral conditions are prevailing over the equatorial Pacific Ocean indicating that a weak El Nino is likely to develop in the coming months and continue for a short period. 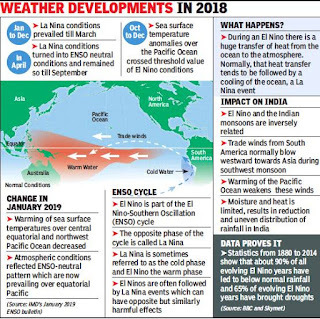 A to-be released ENSO bulletin shows that there are chances that El Nino may not form at all before the monsoon, D S Pai, head of IMD, Pune’s climate research and services, said “El Nino has not established as yet. 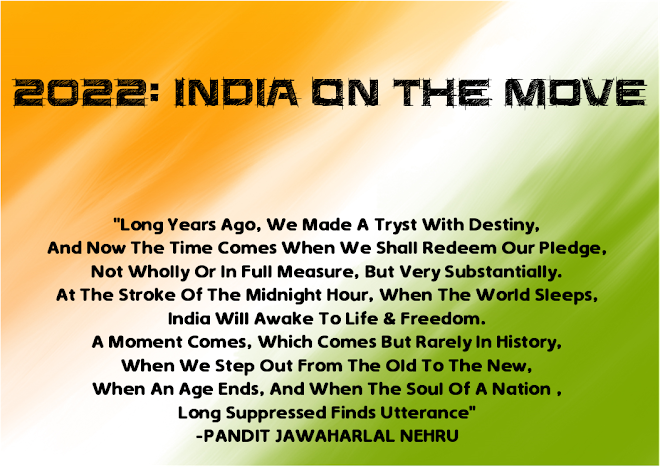 Whatever is the increase in the sea surface temperature over the Pacific may start reducing before the monsoon,” he added. Forecasts till January 2019 showed a maximum probability for El Nino conditions from January-February-March to March-April-May and its likely decrease thereafter. But the forecast in February indicates neutral ENSO conditions may continue. Private weather forecaster Skymet’s chief meteorologist Mahesh Palawat said that since December equatorial SSTs have been weakening. “The magnitude has decreased which indicates that the peak is over and El Nino probabilities should now decline. By the time monsoon arrives, El Nino probability would be less than 50% and ENSO neutral conditions probability would increase,” he added. According to the Pacific Marine Environmental Laboratory, in normal, non-El Niño conditions, the trade winds blow to the west along the equator from South America towards Asia in the tropical Pacific Ocean. These winds pile up warm surface water off Asia, so that the sea surface is about 1/2 meter (11/2 feet) higher at Indonesia than at Ecuador in South America. The sea surface temperature is about 8 degrees C warmer off the coast of Asia than in the eastern Pacific, due to an upwelling of cold water from deeper levels in east Pacific. The cooler water off South America is nutrient-rich, supporting high levels of primary productivity, diverse marine ecosystems, and major fisheries. Clouds and rainfall are found in rising air over the warmest water near Asia, whereas the east Pacific is relatively dry.